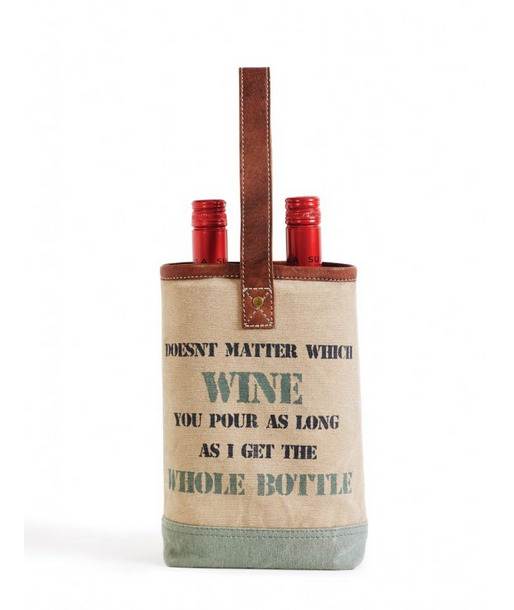 Safely and stylishly carry your wine and beverage bottle in the classic Mona B wine bag made of up-cycled canvas and leather. 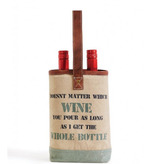 Perfect for to carry a gift or for your own personal use at your next party. Fits standard wine/glass beverage bottle.